Book of the Month February 2019 Selections: What Book Should You Choose? It’s been awhile since I’ve loved the Book of the Month selections overall…but, I love this month’s picks! There are lots (3) of debuts this month…two of which I’m really interested in! Plus, the obligatory monthly psychological thriller and a sci-fi / fantasy pick. Check out my fun new tool to help you pick the best Book of the Month selection for your taste: my Ultimate Guide to the Book of the Month Judges and free, downloadable template to help you find your go-to BOTM judge! Sign up for my email list and get the Ultimate Guide to the Book of the Month Judges Template! Choose the best Book of the Month Club selection for you every time...by using this easy template to find your personal, go-to Book of the Month Club judge! You'll also receive all new blog posts in one weekly email. Plus, news of special updates and offers! Fforde is the British bestselling author of The Eyre Affair and the Thursday Next and Nursery Crimes series. 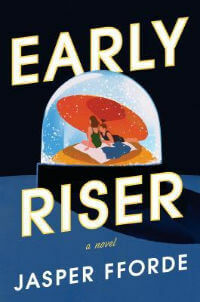 Early Riser is a stand-alone sci-fi / fantasy novel and, like with the last sci-fi pick from BOTM, I can’t make heads or tails of the premise of this book other than that it’s something about life going into hibernation every winter. Goodreads reviewers called it quirky and inventive and praised its witty writing and funny footnotes (they warn readers not to skip them!). They also said the plot is original and that it’s a bit slow in the beginning (first third to half of the book) in the name of world-building, but picks up the pace later. And, Fforde fans say it’s not his best book but they enjoyed it nonetheless. A captivating debut about Vogue model turned renowned photographer Lee Miller, and her passionate affair with the artist Man Ray in 1930s Paris. This debut historical fiction novel falls into the category of fiction based on real-life epic love affairs (a category I love! ), which reminds me of similar books Loving Frank and Z: A Novel of Zelda Fitzgerald (my review). And, even better when the woman is trying to find her own purpose in the midst of these affairs, as is the case with all these books. A murderers’ row of stand-out authors blurbed this book: Madeline Miller, Paula McClain, Celeste Ng, and Georgia Hunter. I’m reading it right now (and loving it so far! ), but I’m only six chapters in, so I’m calling on some trusted recommendation sources to share their thoughts. Georgia Hunter recommended it on Episode 1 of the Sarah’s Book Shelves Live podcast (click the timestamp to hear her comments: [38:10])…she talked about it’s strong sense of time and place (I agree based on the first six chapters! ), called it “gripping” and “sensual”, and said it made her want to immediately Google everything about Lee Miller and Man Ray. Susie from Novel Visits (one of my top recommendation sources) said it’s her favorite book of the year so far and that she was left hoping for a sequel to learn more about Lee Miller. The more critical Goodreads reviews mostly cite the steamy love scenes and call the book out for being a romance masquerading as historical fiction. First, the author. 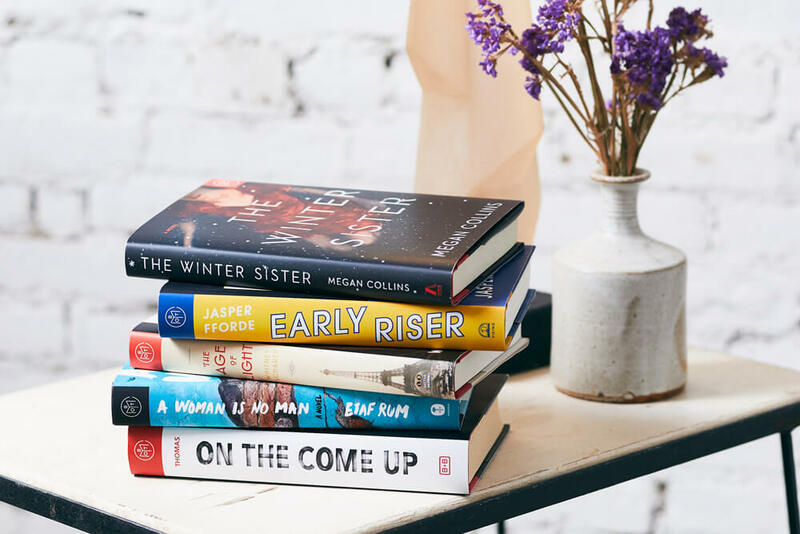 Even though this is a debut novel, Rum’s name may sound familiar because she’s a Book of the Month Ambassador and extremely popular Bookstagrammer (@booksandbeans). She’s also the daughter of Palestinian immigrants, but was born and raised in Brooklyn, NY. The story is about three generations of Palestinian women and the challenges Muslim women face. It’s a family drama that covers a range of issues…religion, abuse, marriage, mental illness, addiction, etc. And, the Goodreads reviews are outstanding! Many reviewers mention this being the best book they’ve read in awhile. They also call it a feminist book despite focusing on a decidedly un-feminist culture and they mention the cultural and generational clashes facing traditional Muslims who are raised in America (a theme I personally love in my reading). Bonus: I hear the three main characters are all book lovers! Honestly, I hadn’t paid much attention to this book prior to yesterday…but, I’m now super interested. You’ve probably at least heard of The Hate U Give. 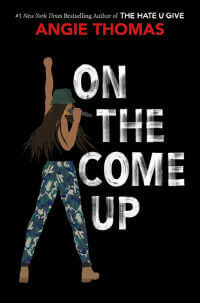 On the Come Up is Thomas’s sophomore novel and it has BIG shoes to fill. It’s being called her “homage to hip-hop.” Just in case you don’t know, Thomas is a YA (Young Adult) author, but The Hate U Give had massive crossover appeal, so I expect the same from On the Come Up. Many of the Goodreads reviews were by people who were just excited about the book, but hadn’t actually read it. But, I did find some actual reviews, which were mostly positive. They talked about the gorgeous writing, Bri’s song lyrics and hilarious, yet challenging personality, and the rawness. A few also mentioned they felt less of an emotional connection with Bri than they did with Starr from THUG. Reviewers say it’s a different book from THUG, but takes on some of the same themes (ex: poverty, police brutality) and is written with the same heart and soul. I loved THUG, but am going to wait for some more reviews from trusted sources on this one before I decide to commit. What Book of the Month February 2019 selection(s) will I choose? I’m choosing two books this month! 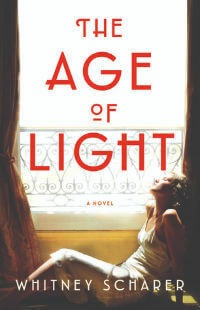 1) The Age of Light by Whitney Scharer – I already have an e-galley, but am liking it so much already that I want a hard copy for my shelves. 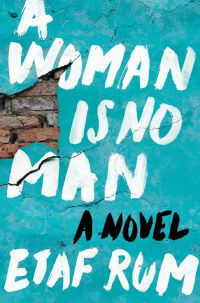 2) A Woman is No Man by Etaf Rum – This one wasn’t on my radar until yesterday, but the Goodreads reviews are so outstanding that I’m adding it to my list! Make your Book of the Month selections by Wednesday, February 6th. NEW MEMBER DEAL: New members can get their first book for just $5. Use code LOVEISLOVE. Hmmm….I was not left with the feeling that The Age of Light was a romance masquerading as historical fiction at all. I’ve read a lot about the Miller/Ray relationship and I think the portrayal was historically accurate, so boo to the Goodreads reviews that thought that! 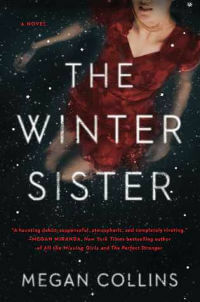 I’m reading The Winter Sister right now, and agree that the basic plot is a common one. Luckily, I don’t read a lot of thrillers, so it isn’t really bothering me and her writing is excellent. I have A Woman is No Man coming up and I’m very excited to read that one. I agree about Age of Light…and I don’t generally love romances. It’s not bothering me. I don’t think I ever selected a BOTM faster than this month with On the Come-Up! I haven’t seen many reviews of it yet either, but even after one book (+ following her on twitter forever), I feel like I trust Angie Thomas! I am adding A Woman is no Man to my list though, I hadn’t heard of it before but it sounds great. Yeah – I bet that’s what a lot of people will pick. I just figured I’d wait for some early reviews from readers I trust. While I did love THUG, I’m always nervous about YA and sophomore novels. You’re killing me! LOL, no I was drawn to 3 of this month’s books but after reading more reviews and your blog I’ve decided to skip The Winter Sister because I read a lot of thrillers and don’t want the disappointment. As always thanks for your thorough research! You’re very welcome! And glad to hear my posts are actually influencing someone’s decisions! Now I really hope it works out for you – haha! Love your reviews every month. I picked The Age of Light and A Woman is no Man. I also added Enchantee for a full box! What?! How could you not pay attention to A Woman is No Man? It was one of my picks on our episode about winter releases. I say you go with it. No it wasn’t! Maybe it was on your blog post, but you definitely didn’t talk about it on the podcast. I think I didn’t pay attention b/c it’s not the kind of book I’m usually initially drawn to, but the Goodreads reviews kind of sold me, plus some quotes…loved her writing. Feb. Book of the Month… But wait isn’t A Woman Is No Man a March release? I say go with the Angie Thomas. It is – but they’re offering it early I guess! It’s early March. You’re very welcome and I’m looking forward to it! A Woman Is No Man sounds excellent–definitely adding it to my TBR. They had some great picks this month! Hmm….now that worries me because I didn’t love either of the Ward books I read. We’ll see! Mine just arrived yesterday. When will I receive my February selection?